Aveda’s Artistic Director for Germany, Austria and Switzerland Bastian Casaretto demonstrates women's haircuts and hairdressing techniques in these exclusive training videos on MHD. 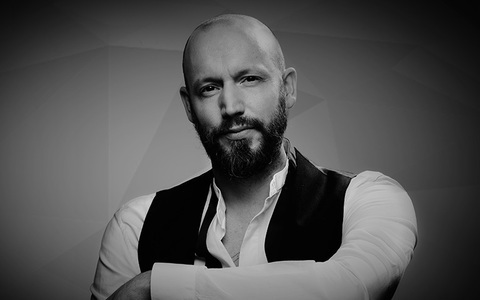 Aveda’s Artistic Director for Germany, Austria and Switzerland, Berlin based Bastian started at the age of 11 in his father’s salon until he was 15 when he began an official apprenticeship. Nineteen months later he joined Vidal Sassoon spending two years in London and thirteen years in Frankfurt before Wella Professional offered him the position of Artistic Director for Germany, Austria and Switzerland where he performed session work, ran classes and designed training programmes. Joining Aveda enabled him to concentrate more on actually doing hair. Bastian now spends at least one day in the salon, which allows him to stay in touch with trends and maintain a salon approach with his students. He continues to spend much of his time in photo studios around Europe and performing session work including New York, Paris and Berlin Fashion Weeks working with Odile Gilbert and designers such as Frida Weyer, Black Soma, Esther Perbandt, Perret Schaad, Vladimir Karaleev, Patrick Mohr and Meissen Couture. Bastian Casaretto's haircut is a salon friendly graduated shape which places the graduation through the back first allowing the freedom to choose the shape through the sides accordingly and give more versatility to the positioning of shapes throughout the head. In Bastian Casaretto’s tutorial he demonstrates a concave triangular layering technique featuring essential information on reducing weight, over-direction and pivoting sections. Bastian Casaretto's haircutting tutorial features soft graduation, with pivoting triangular layering. The final result is an affable, parlour perfect haircut customised with a snuggly fitted back and emancipated lengths to add texture and movement to the interaction of cool and warm shades. Bastian Casaretto’s round layer haircut begins with a clean A-line outline cut on the skin, before he graduates the outline using elevation to start the internal shape.